U.S. Census data tells us so much about the health of our communities, but it is not easily digestible. Enter Dr. John V. Moeser, former senior fellow of the Bonner Center for Civic Engagement, who worked with students in the University’s Spatial Analysis Lab to visualize the complex numbers and figures of our region. The result: Unpacking the Census, a presentation about poverty, race, and immigration in Richmond, Henrico, Chesterfield, Goochland, Powhatan, Charles City, New Kent, and Hanover that has been presented by Moeser and other facilitators across Richmond. 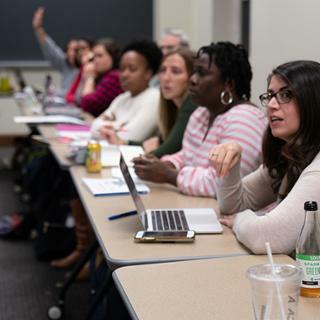 Facilitators were trained by Virginia Center for Inclusive Communities, and the nonprofit organization, led by Jonathan Zur, ’03, worked to promote Unpacking the Census to a wide audience. 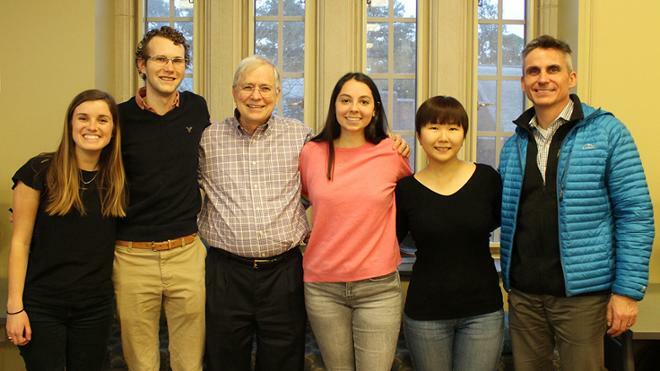 When Moeser retired in 2017, there was an outpouring of support from the community for his work, and the John V. Moeser Fellowship was established by the Bonner Center for Civic Engagement to ensure ongoing funding for University of Richmond faculty and students examining and addressing structural inequality in Richmond and census research. "John Moeser is the conscience of our region, sharing research and data with the public to galvanize action to address pressing racial and socio-economic inequalities," said Amy Howard, assistant vice president of community initiatives and the Bonner Center for Civic Engagement. This year, Evelyn Jeong, ’19, and Emily Routman, ’20, became the first John V. Moeser Fellows and worked alongside GIS technician Nina Mauney in the Spatial Analysis Lab. Taylor Holden, ’15, former GIS technician, who shepherded the project for several years, and Justin Madron, GIS project manager and analyst with the Digital Scholarship Lab, and Tom Shields, associate dean for academic and student affairs with the School of Professional & Continuing Studies and associate professor of education, were able to share their knowledge and experience with the team. Jeong, having worked with Holden on Unpacking the Census in 2015, was able to dive right back into the work. "Unpacking the Census not only provides insightful understanding of the City of Richmond but also depicts the reality of our society," Jeong said. "Working on the Unpacking the Census project for two years, I was able to build personal growth and career goals as well." 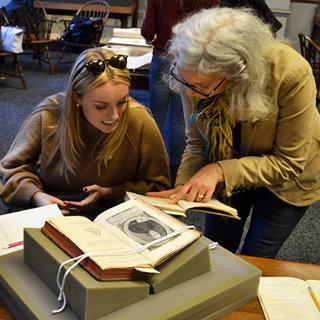 For Routman, the project bridged her geography and sociology double major. "I loved being able to be a part of something that brought my two interests together," Routman said. "Further, it has real-world application." Unpacking the Census is available for anyone to download and use through Boatwright Library’s UR Scholarship Repository, and Moeser continues to present the data at venues across Richmond. "Never in my career has such a small project morphed into such a consequential undertaking that produced such unanticipated results," Moeser said. 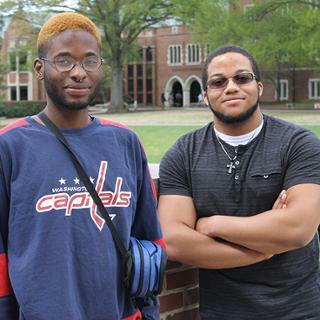 "The real agents of change were not professors, citizens, or public officials, but University of Richmond students who devoted untallied amounts of times – days on end – assembling data and presenting it in a way that the captivated the public." More is also on the horizon for the next John V. Moeser Fellows as the Spatial Analysis Lab and Bonner Center for Civic Engagement anticipate Census 2020.